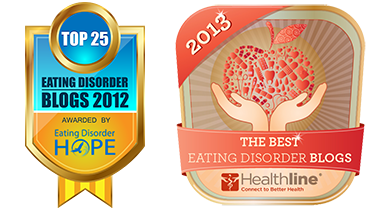 Since opening my practice in 2009, I have evaluated 49 patients with primary diagnoses of Anorexia Nervosa (AN). All patients who attended an evaluation and at least one treatment session with me, and who are no longer in treatment with me, were included in this sample. In addition, there were several patients who have completed their treatment but have elected to see me two or three times per year for check-ins; these patients were included in this sample as well. Patients who are currently in treatment with me were not included. Patients who saw me for an evaluation and / or consultation only, but did not attend any treatment sessions, were not included either. Thirty patients met criteria for inclusion in this sample. The remaining 19 did not meet criteria, either because they saw me for evaluation and consultation only or because they are currently in treatment with me. Please bear in mind that this is not a randomized, controlled study. The results I am posting are specific to my practice and my patients. They are not intended to be generalized to other clinicians or other patients. While many of my patients are referred to me by their pediatrician or psychiatrist, the majority of my patients are self-selecting. That is, their families researched their treatment options on their and chose to work with me for a specific reason. The self-selecting nature of many of these families also limits the generalizability of the results. The sample described in this post contains 30 patients. These patients ranged in age from 10 – 37 (median age = 15). Eighty-three percent of these patients (n = 25) met criteria for restricting subtype (AN-R) and the remaining 17% (n = 5) met criteria for binge-purge subtype (AN-BP). Half of these patients (n = 15) had a co-morbid diagnosis, with the most common being Major Depressive Disorder and Depressive Disorder Not Otherwise Specified. Fifty-three percent of patients (n = 16) took some type of psychotropic medication during their treatment with me. The patients varied widely in terms of length of illness and severity of symptoms. Duration of illness before intake ranged from 3 months to 21 years (median duration = 19 months). Importantly, these figures reflect the duration since the onset of illness, which is typically longer (and often much longer) than the duration since diagnosis. For the purpose of calculating duration of illness, onset of illness was defined as the period of time in which patient began engaging in behavioral symptoms of AN (e.g., restricting, compulsive exercise, purging) as reported by the patient and/or parents. The majority of these patients arrived at my office with some history of treatment. Seventy percent of patients (n = 21) had already received some type of treatment before beginning therapy with me. As expected, most of those who were new to treatment had a much shorter duration of illness. One-third of patients (n = 10) had been hospitalized for their eating disorder or a related psychiatric issue (e.g., suicide attempt) prior to their evaluation with me. Seventeen percent of the patients (n = 5) had previously been in residential treatment and 27% (n = 8) had previously been in partial hospitalization, day treatment, or intensive outpatient treatment eating disorder treatment. Duration of treatment with me ranged from one week to 48 months (median duration of treatment = 11 months). Number of treatment sessions with me ranged from 1 – 82. For those whose treatment lasted 18 months or longer, the duration of treatment can be explained by either a relapse after a period of remission or continued treatment to address a comorbid condition, such as anxiety or depression. Seventeen percent of patients (n = 5) had to be hospitalized during their treatment with me. a.) Patient is 100% weight-restored. Target weights were calculated based on patient’s individual historic growth chart and parent input. Patients under age 20 were expected to return to their historic percentiles for height, weight, and BMI. For patients age 20 and up, target weights were calculated based on the patient’s height, body build, weight history, menstrual history, and parental input (when available). b.) Patient has started or resumed menstrual periods (for females ages 14 +). c.)	Patient is medically healthy. d.)	Complete abstinence from binge/purge behaviors, laxatives, and diet pills. f.)	For children under 18 – child eats independently in an age-appropriate way most of the time or all of the time. For patients ages 18 and up, patient is able to eat independently while maintaining his/her weight. 2. Patient is classified as in physical remission if he/she meets criteria a, b, c, d, and e under full remission, but does not meet criteria f or g under full remission. Essentially, a patient in physical remission is physically well and free of eating disorder behaviors, but cannot eat well independently, and/or continues to be preoccupied with thoughts about food, weight, and body image. d.)	If patient has a history of bingeing, purging, laxatives, or diet pills, the frequency of these behaviors has been reduced to once per week or less. b.) Patient has restored some weight but remains more than 10% below target weight (as defined in criterion a under physical remission). d.)	If patient has a history of bingeing, purging, laxatives, or diet pills, he/she has reduced the frequency of these behaviors since intake but still engages in them more than once per week. 5. Patient is classified as having made no progress if he/she has not improved dietary habits, has not restored any weight, and/or has not reduced the frequency of bingeing or compensatory behaviors. Fifty-seven percent of patients (n = 17) completed treatment and will be referred to as “treatment completers.” Treatment completers ranged in age from 10 – 24 at intake, with a median age of 14. Duration of treatment for treatment completers ranged from 2 months to 48 months (median duration = 15.5 months). Ninety-four percent of treatment completers (n = 16) met criteria for full remission at end of treatment. The remaining 6% (n = 1) met criteria for physical remission at end of treatment. For the treatment completers, weight restoration was achieved in an average of 3 months (range = 1 – 7 months). Two of the treatment completers were fully weight-restored (though not in full remission) at the start of treatment with me, having already been in eating disorder treatment elsewhere. Forty-three percent of patients (n = 13) did not complete treatment and will be referred to as “treatment non-completers.” Treatment non-completers ranged in age from 10 – 37, with a median age of 20. Duration of treatment for the non-completers ranged from one week to six months (median duration = 3 months). Of the treatment non-completers, I referred 23% (n = 3) to other providers because they required something I could not provide (e.g., residential treatment) or my treatment approach was not helping them. Fifteen percent of non-completers (n = 2) moved to other parts of the country during their treatment and thus were referred to other providers near their new homes. Sixty-two percent of treatment non-completers (n = 8) dropped out of treatment prematurely. Of the treatment non-completers, 46% (n = 6) had made significant progress by their last session with me. Fifteen percent had made some progress, 23% (n = 3) had made no progress, and 15% (n = 2) had regressed. Stay tuned for my next blog post, in which I will examine and interpret the differences between treatment completers and treatment non-completers. 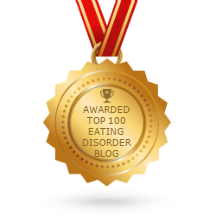 This entry was posted on Monday, July 1st, 2013 at 10:12 pm	and is filed under Eating Disorders, Maudsley Approach, Psychotherapy, Treatment Outcomes. You can follow any responses to this entry through the RSS 2.0 feed. Both comments and pings are currently closed. This is great to keep this data on your clients. Is this for FBT or individual therapy? Good question. In my practice, I always use FBT for children and adolescents <18 with AN. For patients over age 18 with AN, I strongly recommend FBT when possible and appropriate. Some of my patients over 18 receive individual therapy either because their family members live far away, are estranged, or are unable to participate for some other reason. In this sample, 20 of the 30 patients received FBT, 5 received individual therapy, and 5 received a combination of FBT and individual therapy. There were 11 patients over age 18 in this sample. Six of these 11 patients received FBT, either by itself or in combination with individual therapy. The remaining 5 received individual therapy only. There were significant differences in outcome between the patients who received FBT and those who received individual therapy. I'll describe these differences in detail in my next post. Wonderful that you are collecting and sharing these results. Crazy how the norm is for people to entrust themselves or their children to a therapist with no evidence to support the hope that they will get help. I think this kind of data collection is fantastic, both so that you can better evaluate your own approach and so that families know what they’re getting and what to expect. I think if we knew better how to predict who will respond to what treatments, we could start with those treatments that would be most effective. I’m curious about what might have surprised YOU when you analyzed the numbers. Did the data come out the way you had perceived it at the time? Was it in line with what you thought you’d see before you started gathering the data? The data presented in this post came out in line with what I expected. However, some of the data posted in my next blog post was surprising. I was most surprised by how poorly patients in individual therapy did. As an FBT practitioner and proponent, clearly I know and believe that FBT is more effective on average, but I certainly did not expect zero percent of patients in individual therapy to achieve remission. Granted, there were only 5 people who received individual therapy alone – not a large enough sample to draw conclusions. That said, these results have made me very hesitant to take on any more individual therapy patients with AN, ever. And if I ever do, I would want them to know about these data before we start working together. I was also surprised at how poorly patients with AN-BP did. I don’t tend to think too much about AN subtype during treatment, but clearly I need to start! I was pretty surprised that the presence of comorbid disorders didn’t affect treatment outcome. I could have sworn it did! I’m curious, then, what you would recommend for those AN patients for whom FBT isn’t an option (for whatever reason). Do you have any theories why so many of them didn’t complete treatment? If FBT weren’t a viable option for an AN patient, then I would recommend residential treatment. If residential treatment weren’t an option, I would recommend therapy with a different therapist who has successfully helped adult AN patients achieve full remission through individual therapy. That is, if I knew of one. My theory on individual therapy dropout is that AN treatment is extremely difficult and anxiety-provoking. It is natural to want to flee from something that is hard and scary. Also, the egosyntonic nature of AN, combined with the anosognosia, makes most patients ambivalent about recovery at best. Therefore, most people leave treatment prematurely unless they have family members who require them to stay in treatment even when it’s horribly difficult. It is not surprising that the results for individual therapy for AN were so poor. In the FBT v. AFT trial published by Lock and LeGrange in 2010, only 23% of the AFT patients reached full remission after 2 years. And a significant portion of the 23% had been hospitalized, where they would have been re-fed. Therefore, the remission in the 23% may have been due not to the inidvidual therapy, but to the refeeding in the hospital. I think we can safely conclude that individual therapy for AN is generally not a good option. Your data confirms that. At the same time, Sarah, there is no evidence that residential treatment is a good option for AN patients for whom FBT is not available. See the Gowers TOUCAN study, for example. A day treatment program focused on refeeding and normalization of eating patterns may be just as effective as residential, or more so, at lower fiancial cost, and without the side-effects and risks of residential confinement. Thank you for your comments. I am familiar with the Gowers Toucan study. I agree that a day treatment program focused on refeeding and normalizing nutrition could potentially be just as effective as residential, although I am not aware of any research supporting this hypothesis. However, for individuals with AN-BP, day treatment may not be sufficient, as they require round-the-clock supervision to prevent bingeing and purging. There aren’t any studies showing that residential confinement is superior to outpatient treatment for patients who suffer from any form of AN, including AN-BP. At this point, nobody knows which is better generally, or for any specific sub-population. Why, then, should the public be expected to pay the huge amounts of money required to keep a sufferer in a residential setting? We all end up paying, either by increased insurance premiums or taxes. If an individual family wants to use its own money to pay for residential treatment for its kid, I don’t have a problem. However, I have seen so many people get screwed up by residential centers that I’m not prepared to favor subsidizing that model of treatment. We know, for example, that eating disorders tend to cause sufferers to become socially isolated. Placing people in residential programs aggravates the isolation. It is also difficult for people to re-integrate into mainstream society after spending an extended period of time in a residential institution. 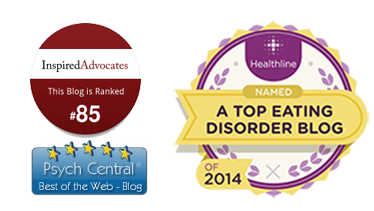 Judging by a recent discussion on the New York Times webpage, a large segment of the general population is also skeptical of residential treatment for eating disorders. I think the proponents of residential treatment bear the burden of proof. So far, they haven’t met it. And the problem is not that the residential centers lack the money needed to conduct studies to determine whether their programs are effective. Some of the residential centers, for example, are owned by CRC Health, a large corporation with annual revenues of hundreds of millions of dollars according to filings with the Securities and Exchange Commission. If CRC Health wanted to measure and publish outcomes, and conduct an RCT comparing its residential programs with outpatient care, it could easily do so. However, it hasn’t done it, raising a reasonable suspicion that CRC’s outcomes actually are not very good. If the outcomes were good, why isn’t CRC rushing to publish its data? Why isn’t it willing to finance an RCT comparing, experimentally, its residential treatment with outpatient care? Therefore, I think it’s fair to conclude that the residential model has no demonstrated advantage over outpatient treatment, and that residential confinement has potentially serious side effects and risks, not to mention high financial costs. Thank you for your suggestion. I am familiar with CBT-E and I agree that it is a promising alternative treatment for patients who are unable to do FBT. The pilot study has several limitations. As previously mentioned, almost half of the participants did not complete all of the treatment sessions provided through the program. Consequently, no posttreatment and follow-up data were available from the noncompleters, as these questionnaires were completed after the last treatment session. Therefore, we do not know whether these patients benefited from participating in the treatment program. We have chosen a linear model, as the treatment program is most effective with a specific order of treatment steps, and this model is also useful in working with homework assignments and tailored feedback. However, the lack of information about noncompleters of the intervention is a real disadvantage. We recently started a randomized controlled trial (RCT) to study the efficacy of the web-based treatment program. In the RCT, the web-based application has been modified so that the measurements are no longer linked to the treatment steps. Consequently, posttreatment and follow-up data will be available from both completers and noncompleters. The reasons for noncompletion and the characteristics of noncompleters, as well as their satisfaction with the treatment program and therapist, will also be investigated in the RCT.